Most people think of Halloween as a purely American holiday, but its beginnings go back long before the colonists arrived in America. The Celts called Halloween “Samhain”, “All Hallowtide” or “The Feast of the Dead”. On this day, the dead could return to Earth. Samhain also marked the end of summer and the beginning of winter. In 800 A.D., the Catholic Church designated November 1 as All Saints Day. On this day, they honored the Saints who did not have their own special day. October 31 became All Hallows Eve, or Halloween. 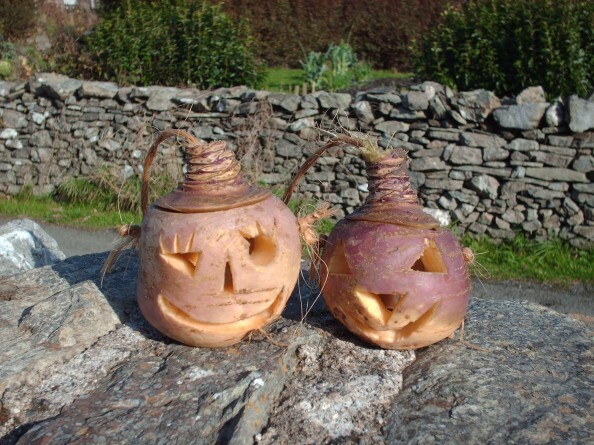 The Irish have their own Halloween celebrations, many of which came with Irish immigrants to America. See how many of these sound familiar. 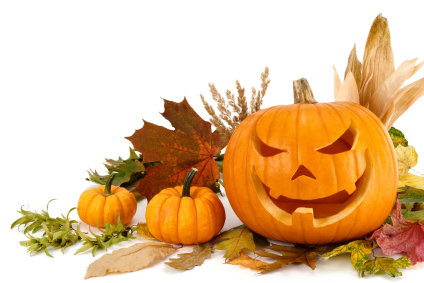 The tradition of carving pumpkins began in Ireland in the eighteenth century. The story goes that a wicked blacksmith named Jack died, but couldn’t go to heaven. He was doomed to wander the earth. He asked the devil for a light. The devil gave him a candle, which he carried in a turnip that he had carved out. 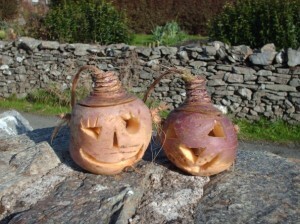 The Irish carved turnips and placed lights in their windows to keep away roaming spirits and Jack on Halloween night. When Irish immigrants came to America, they found that turnips were less common. They substituted pumpkins for their Halloween tradition. 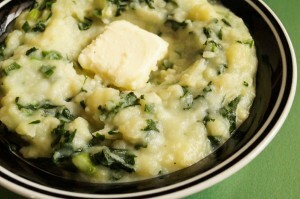 A traditional Halloween dinner food is called Colcannon, and includes a boiled potato, curly kale – a bit like cabbage – and raw onions. You might find a coin in the potato if you’re lucky. 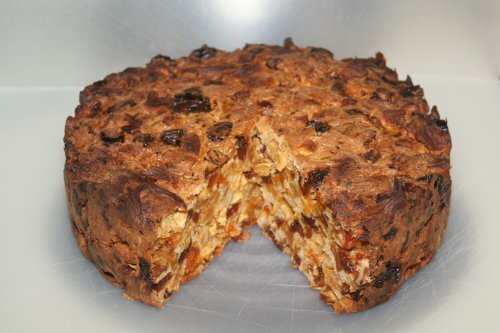 For dessert, you might eat a slice of Barnbrack cake, which is a fruit bread. Baked into the cake are a bit of rag, a coin and a ring. If you get the rag, you’ll most likely be poor; the coin—certain wealth. If you get the ring, expect romance, good fortune and happiness. Irish children dress in costume and go from door to door. This tradition goes back to the Celts, who dressed as goblins and devils on Halloween night as a disguise so evil spirits wouldn’t carry them off. Watch out for fairies and goblins on Halloween. They might just carry off your soul. If you can throw the dust from your feet at them, though, they must release all the souls they’ve captured. Celts: an ancient people who populated the British Isles. They originally invaded most of Europe, but were defeated by the Romans on the mainland. Celtic language, culture and tradition still figure largely in Ireland. Saint: a person who was a beloved religious figure. Many of them were killed for their religious beliefs. Question: Do the Irish play games on Halloween? Answer: They play Snap the Apple, which is similar to bobbing for apples. They also burn bonfires and children dress up and go trick or treating. Enjoyed the Free Geography Kids Online all about Halloween in Ireland info? Take the FREE & fun all about Halloween in Ireland quiz and download FREE all about Halloween in Ireland worksheet for kids. For lengthy info click here. Declan, Tobin. " Halloween Facts for Kids ." Easy Science for Kids, Apr 2019. Web. 23 Apr 2019. < https://easyscienceforkids.com/all-about-halloween-in-ireland/ >.